A Guide to men’s eye care. Eye bags, puffiness and fine lines sounding all too familiar gentlemen? Tired of being greeted with the same old fatigued and jaded eyes? If so, then you’ve most probably not yet stumbled upon one of the many men’s eye care products available on the bustling male grooming market. Allow Men’s Lifestyle Guide to bridge the gap between hard to manage and troublesome eye contours and true bathroom success. The truth is gents, that with one of the below men’s skincare products, you can quickly turn your look from zero to hero, leaving all of those niggling imperfections well and truly on the sidelines. The first name on the grooming team sheet simply has to come in the form of MMUK MAN’s under eye concealer. A luxury concealer for men that can be gently applied to the eye contour and effortlessly disguise the appearance of dark circles in particular. As any good concealer must provide undetectable coverage, there really is no surprise that the modern man is quickly fine tuning his grooming demands and adding such products to his grooming arsenal. If however, concealer isn’t quite for you. Tackle the beast with a super eye contour roll-on. For this, there really is only one place to go. 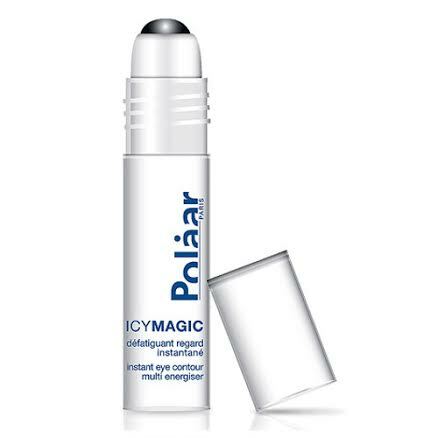 Polaar’s Icy Magic Multi Energising Contour Lift may well be a skin care tongue twister, but there is something quite astonishing offered by this heavy hitting all action formula. Keep in the refrigerator prior to application directly onto your under eye area. Allow the ice cool metal ball to massage and de-stress your contour for instant revitalisation. This energising formula tackles bulging bags by improving micro-circulation within the skin and utilizes highly concentrated ingredients to tackle fine lines. For complete ease of application, there is little reason as a modern day man not to deploy the power of polaar men’s skin care. Perhaps a men’s eye cream tickles your fancy a little more? Very similar to men’s moisturisers, but that little bit more specialist, a good eye cream can prove to be your essential stepping stone in alleviating common eye problems. It is with great pleasure to introduce you to both Recipe For Men’s Under Eye Gel and Nickel’s spa inspired revolutionary anti-puffiness contour cream. Both, offer very similar benefits by improving the elasticity of your under eye skin and leaving them looking firmer all day long. Ideal for the modern man on the go, keep one of these wingmen in your gym bag for an instant U-turn when caught in a grooming conundrum.